 Notification of occupational disease and risk of work disability – how concerned should we be? We have with interest read the article by Kolstad et al (1) on the risk of work disability in relation to notification of occupational disease. The study comprised patients seen at a Danish department of occupational medicine and used routinely collected registrations and historical register information on social benefits. Work disability was defined as a year with >12 weeks of sick payment, unemployment payment, disability pension, rehabilitation benefit, or other social benefits. Overall, the hazard ratio (HR) of work disability was 1.11 [95% confidence interval (95% CI) 0.99–1.27] within two years. In the subgroup who were not working at baseline, a HR of 0.99 (95% CI 0.85–1.15) was found. However, a HR of 1.46 (95% CI 1.17–1.82) was reported in the subgroup who were working at baseline. In this group, 124 cases of work disability were identified among patients who were notified (48.1%), while the number of cases was 337 among patients not notified (35.6%). In the total cohort of 2304 patients, 1435 became work disabled (62.3%). Kolstad et al did not estimate the proportion of cases that could have been prevented if none of the patients had been notified. Since this proportion is of major importance to capture the size of the problem, we calculated the excess number of cases in the working subgroup using the HR and the observed number of cases and found that 39 cases [(1.46-1)/1.46×124 cases] were in theory in excess. Thus, the proportion of preventable cases was 8.5% [39/(124+337)×100%] of all cases appearing in the working subgroup and 2.7% [39/1435×100%] of all cases in the total cohort. In other words, completely avoiding notification would reduce the overall disability problem by less than 3%. Notified patients differed from non-notified patients with regard to several factors with a likely negative impact on their work situation. Kolstad et al were well aware of this threat to the internal validity of their results (confounding by indication). Despite this and the fact that the small excess fraction of cases clearly points to other factors as more important for work disability than notification, Kolstad et al called for administrative changes advocating that “The findings of this study underpin the need for actions that effectively reduce administrative delays …. and for changes of notification and acknowledgement procedures to ensure that only workers with high odds of compensation are notified”. Kolstad et al also advised colleagues “to consider the risk of exclusion from the job market… before making a notification”. Many medical establishments have expressed concerns that the mere claiming of workers’ compensation may have a negative impact on vocational prognosis. The results presented by Kolstad et al are in fact reassuring with regard to the effect of notification on risk of work disability. Overall, the patients in the study cohort of Kolstad et al managed badly on the labor market, notification or not. Prevention of work disability among working-aged patients in secondary healthcare is certainly an important issue, but given the results presented by Kolstad et al there is no need for major concerns for negative side effects of notification of occupational disease.